Beat Connection is a chillwave duo from Seattle but you wouldn't think so. In fact, after hearing their music for a first time, I would have thought that these guys grew up on the bright sunny beaches of southern California. Their music draws influences from many of those surf rock bands from that area as well as chilled out pop music. Putting these traits together ends up being quite refreshing as a summer record as the pop influence brings on a feel good element of the season while electronic production and chillwave elements separate this music from the rest of the pack. 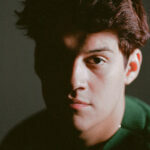 At times, you can hear some similarities to bands such as M83 or even The Radio Dept. while at others, Beat Connection tries hard to sound more so like a Surfer Blood comparison. The combination of different musical elements really does pay off however as the band is able to draw up a very fun, chill vibe for the heat of summer. Although some of the tracks off the duo's newest LP seem to be a bit too cookie cutter and careful, this album really succeeds at being what it is, a decent pop record. In 2005, Oholics was formed in Sweden by long time friends Peter Freibergs and vocalist Christoffer Rydeståhl. As they were mainly inspired by the Brit Pop scene that came alive in the 1990's, Oholics decided that they wanted to revive that sound and make it Sweden's own. 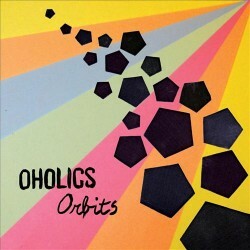 Orbits is the second full length album by the 6-piece band and even though they sound a bit edgier than most of those alternative groups in the 90's, Oholics is almost undoubtedly a rehashing of some of those bands. Rydeståhl sounds almost identical to Richard Ashcroft of The Verve while the band make a more raunchy version of what Oasis was made famous for. In general, I think the album works for any bug fans of the 90's decade but for me, I've since moved far away from that sound and seek something much more complex and original. This album ends up being pretty dry of any truly remarkable music and even though I'm confident in saying that bands like Oasis and The Verve both released outstanding records in their time, Oholics just seems too plain to meet these expectations. The positives are far outweighed by the negatives and in the end, Oholics just comes across as a typical, alternative rock band that probably came about 15 years too late. Electronic dance music, otherwise known as simply EDM, has become sort of a cultural phenomenon as of late. If you had asked me 4 or 5 years ago about the genre, I would have told you how underground and independent it was but it has really come to the surface of music especially in the club scene. Although I still consider most of it underground, it still brings in a very accessible audience which in a way is kind of a good thing. After all, a lot of EDM music is pretty spectacular and for an average audience to find themselves cherishing a genre of music that is both complex and groundbreaking is a positive thing for society. 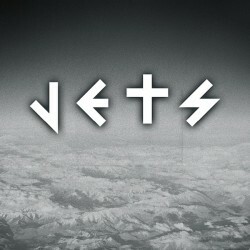 Jets is a new project put forth by electronic DJ's Machinedrum, who I enjoy very much, and the exploding Jimmy Edgar. Both musicians have been on a rampage as of late, making music under an assortment of different types of projects and really, they are beginning to see some decent success. Their debut, self-titled EP release is exactly what you might expect from the two as both composers show off their interesting influences in a variety of ways. At times during this short EP though, I have to admit that I found myself uncharacteristically bored by the whole thing. I think that was mainly due to the production of a few of the tracks, especially for going for a dub step feel. Although this album didn't blow me away, I still respect the team up here and the few songs that were terrific really gave the album a chance. 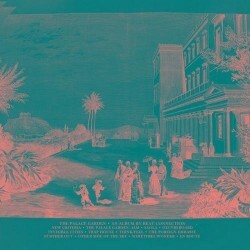 Egyptiank Wrinkle, the debut LP by the Austin based 3-piece Boy Friend, is an album that I have been meaning to get to since it's release in the beginning of the year. I had heard a few of the tracks off the trio's bandcamp page and grew quite interested in their overall sound which drew from very dark atmospheres and engaging, pop melodies. Christa Palazzolo, who is mostly known for her original project Sleep Over, is really at the forefront on most of this record. Her ideas are an obvious statement as this album ends up sharing very much in common with Sleep Over but the album's very fragile verses and bittersweet ambiance isn't produced altogether well. In fact, much of the loftiness that should exist here on this record is overpowered by pathetic drum machines or twangy synthesizers that full out ruin the whole mood the lyrics are trying to set. I think the atmospheres, which sounded so intriguing at first, just don't play a big enough role on this album like they should and in the end, the damage is done. The record ends up coming across more like an amateur album that was trying too hard to be interesting instead of atmospheric. Balthazar is a 5-piece indie rock band from Belgium whose overall sound should be compared to the likes of bands such as Arctic Monkeys. That was my first initial thought as soon as lead singer Maarten Devoldere began to sing and some of the horn sections filled the empty spaces on the music bars. 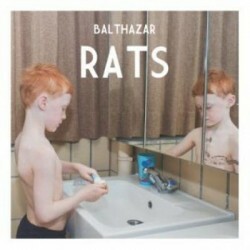 Their is a lot of fun to be enjoyed here just like on an average Arctic Monkeys record and even though the bands probably shares very little in common with each other, Balthazar just has a funky way of making alternative music sound more interesting. Rats is the band's sophomore album and track for track, this is actually a very awkward alternative record to say the least. Instead of guitars and bass, we are actually hearing a lot more violin and cello and on top of that, lots of wind instruments play over some space to be enjoyed as well. We get a sort of orchestral, alternative record here with plenty of original ideas from the songwriting. I wouldn't go as far as saying this album has really become a standout of any sorts as the songwriting leaves much to be desired, the album is clever in it's ability to create new and fresh landscapes rather then the old fashioned, plain rock and roll. Every year, there are going to be certain record that somehow slip under the rug and never get discovered. Especially nowadays with so many different artists and such an accessible chance of getting your music out to the world, a lot of artists are unfortunately going to be missed or overlooked. Library Tapes seems to be one of those groups. 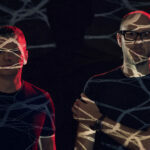 The duo is comprised of Per Jarsell on guitars and pianos and David Wenngren on electronics as well as additional piano. 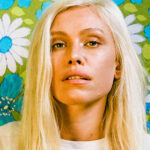 The pair formed in Sweden in 2004 and have been releasing records almost at will since. 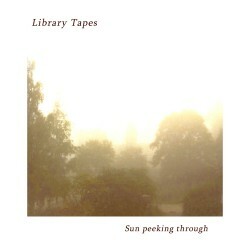 Sun Peeking Through is the newest record from the duo and the minimalistic, modern classical themes are gorgeous. As musicians, both Wenngren and Jarsell have a terrific knowledge of concept and time as they contribute their forms of classical song structures. They leave just enough space in between each note for that perfect silence while each instruments cries out in such elegant sadness that it seems horrifically beautiful. Where this album really stands out are in the subtle violin sections that really balance each melody behind the pianos and guitars, which sound like they as well are being played with a bow. This album might not be doing anything new or innovative but these guys are magicians when it comes to this genre and this album ended up being the best all week. Definitely keep an eye out for both of them in the future if you enjoy this piece of art. Relmic Statute is yet another minimalistic artist whose ambient soundscapes have one difference from Library Tapes…it's not modern classical. 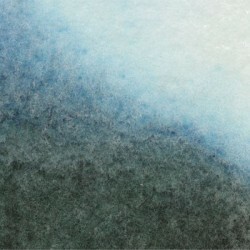 Instead, Relmic Statute is making simplistic drone music that is filled with this idea of the beauty of nature. Wind, waves, leaves rustling and tall grass waving in the distance are just a few of the elements caught on tape in past Relmic Statute records. David Horner is the man behind the project. An ambient enthusiast, Horner was born in Leeds and always loved the minimalistic qualities that made drone music stand out as he grew up. Untitled is his newest album and fourth overall. The record contains just four songs but each of them are over 6 minutes long, the intro track being a whopping 21 minutes. Although I have been known to enjoy an occasional drone record, this one just didn't meet the necessary requirements. I understand that drone means simplistic and that much of what is going on will be just subtle atmospheres but I like to hear something that an artist will add to separate the playing field. You'll notice drone artists like Bass Communion add these extravagant guitar sections or thrilling song structures that build up and balance out and these are just a few elements that make Bass Communion a more accomplished drone artist. On this record, Horner basically just goes with the flow of things instead of creating something more abstract and I think it ends up weighing him down just a bit. Next week will be the concluding SFTT for 2012 as I will sum up some of the records I missed this year. If any of you have some recommendations for me to add to the last SFTT article of this year, please email me and let me know or leave a comment here in the comment section. Once we get to the final week of December, watch out for my personal list of top 50 albums of 2012! Thanks for reading guys and have a terrific week! Relmic and Library are awesome! glad you like it Brandon! Falcon Punch gives Beat Connection a remix that is "So Good"